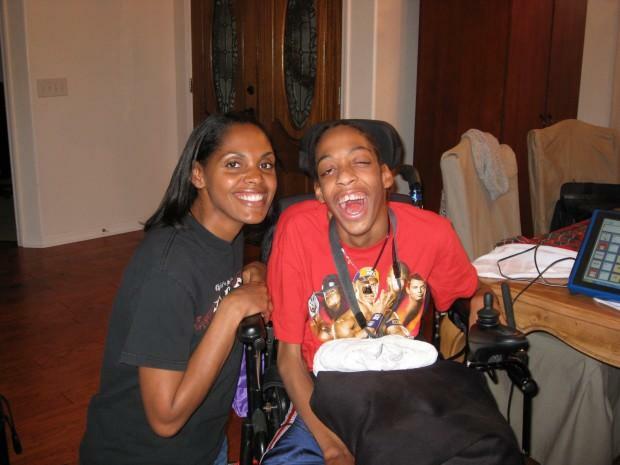 Can Charter Schools Legally Turn Away Kids With Severe Disabilities? Tonya Whitlock and her son Tres, 17, say they have not been able to get Tres into Pivot Charter School near Tampa. Tres has cerebral palsy, and the family said the charter school is concerned they cannot provide all the services Tres needs. This month, an investigation by StateImpact Florida revealed that more than 86% of Florida charter schools don’t serve a single student with a severe disability, compared to half of traditional public schools. State education officials say no school is required to take every student with every disability. But lawyers are divided on whether charter schools can legally turn kids away. No one person decides where a student with disabilities can go to school. That decision is made by a special education team. Its made up of district staff, therapists, parents and sometimes the students themselves. Paul O’Neill, an education lawyer who focuses on students with disabilities, says the team decides which services a student with disabilities needs and then creates an individual educational plan, or an IEP. Students with disabilities can only go to schools that offer the services listed in their plan. Our investigation found that most Florida charter schools don’t offer services for students with severe disabilities, like Down Syndrome or autism. So O’Neill says those students aren’t eligible to go to most charter schools. An appropriate placement is the main measure in special education law for determining where a student will go to school. Shawna Parks, a lawyer at the Disability Rights Legal Center in Los Angeles, says the idea behind appropriate placement was to make sure kids with disabilities could be with non-disabled students. “And to the extent that anybody now is attempting to use that concept to exclude a group of children from a category of schools really turns the concept on its head,” Parks said. Charter school advocates say there are other public schools that already have special education services in place. O’Neil says federal law doesn’t require charter schools to start offering those services. So for example, you can’t force a charter school to hire the staff to take a student to the bathroom. But Shawna Parks said anti-discrimination laws are clear. She said schools cannot exclude kids because of a disability. A number of lawsuits have popped up around the country on this issue. For now, there is no clear precedent on whether charter schools can turn away kids with severe disabilities. This story is part of WLRN’s StateImpact Florida education reporting project, which examines the effect of state policies on the lives of students, educators and parents in our community.